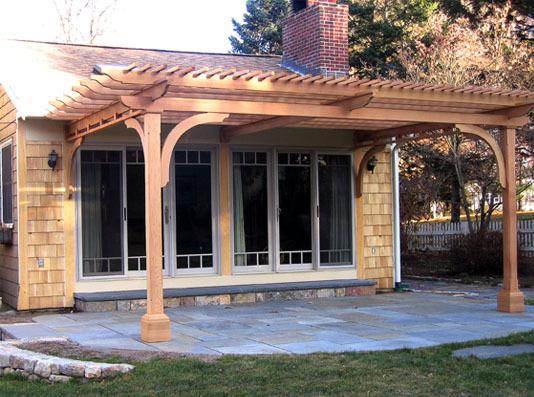 This patio pergola was designed to extend the inside living area to the outside. 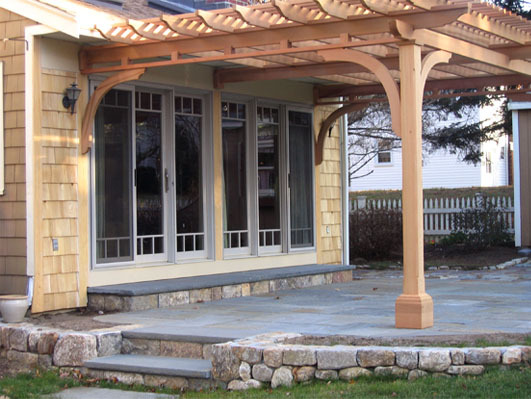 The overhead pergola structure creates a transition from indoors to outdoors. The main beams extend out from the house and are supported by an interesting connector assembly. A simple, but nicely resolved solution, to a common request.